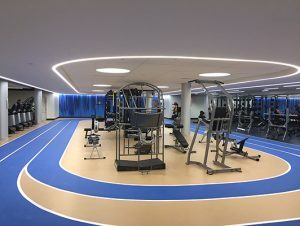 Rubber flooring offers a highly versatile, exceptionally resilient, and extremely durable flooring option, suitable for various commercial and sports applications. It provides a sturdy, slip-resistant, and shock-absorbent surface to workout, play, stand, and walk on, while also being soft and comfortable underfoot. 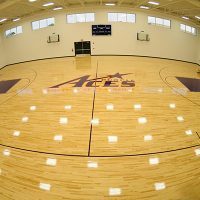 Therefore, it’s ideal for high traffic and high impact areas and is often used for gyms, playgrounds, commercial establishments, and multipurpose areas, such as field houses and event centers. 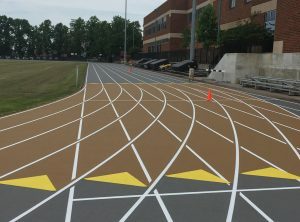 Rubber flooring comes in a variety of colors and styles, allows for diverse design options, and can be customized to create a unique look. It’s a green, cost-effective flooring solution that can last for decades when properly cared for. 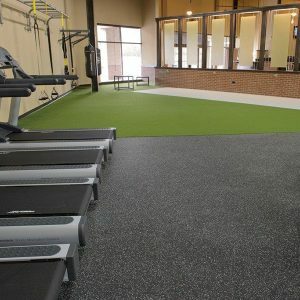 All these features make rubber flooring the perfect choice for any commercial or professional athletic installation. 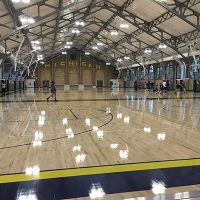 To be able to fully benefit from its numerous advantages, you need to find the right type of rubber floor for your facility. With so many products to choose from, you better be well informed about the available options and fully aware of your needs in order to make the right decision. Here are the options to consider when choosing and buying rubber flooring. When planning for a rubber floor, make sure you review all the available options and find the one that best suits your needs and preferences. Rubber flooring products come in three common types – mats, tiles, and rolls. Rubber mats are very easy to install and extremely versatile. They can be laid on any hard, flat surface to add extra cushioning or thickness to the area, however small it may be. Rubber mats come in many different sizes to fit all spaces and needs – from 3’x6’ (just a bit larger than a traditional yoga mat) to 4’x10’ (large enough for plenty of movement) and more. You can choose from a variety of thicknesses as well, ranging between 1/4 inch and 2 inches. 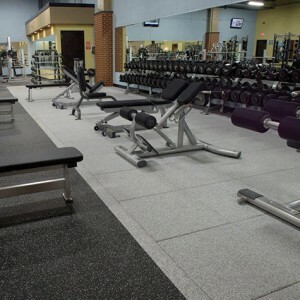 Thinner mats are great for home workouts, while gyms and professional sports facilities need thicker pieces that can withstand high impact activity and heavy traffic. Rubber floor mats are intended to be used independently but can also be installed next to one another to cover larger surfaces. For a secure installation over a larger area, you may want to consider rubber mats with interlocking edges that ensure a secure fit. Rubber tiles are the most popular rubber flooring option for residential and commercial settings alike. Their convenient size and design make them suitable for any space and purpose. Typically, rubber tiles come in 12”x12”, 18”x”18”, and 36”x36” squares, but they’re very supple and easy to cut into different shapes of varying sizes in order to perfectly fit the layout of the room or create unique patterns within the surface of the floor. Most rubber tiles have puzzle-style interlocking edges for easy installation (some even come with two detachable edge pieces to facilitate installation in irregularly shaped rooms). Interlocking tiles do not require adhesives, but glue-down forms are also available for larger commercial areas or outdoor applications. Rubber tiles for outdoor use can be as thick as 5 inches, while tiles for indoor applications tend to be between 2 mm and 3/4 inch thick. A great advantage of rubber tiles is that if one piece is damaged, it can be removed and replaced quite easily. Rubber rolls are ideal for covering larger areas – they create fewer seams than interlocking rubber tiles and are the most economical rubber flooring option available on the market. Rubber rolls come in sheets that are four feet (or more) wide and can be twenty to fifty feet long, allowing you to completely cover an entire room with just one or two rolls. Keep in mind though that the rolls are large and heavy and, therefore, more difficult to install. They are most frequently used in large industrial or workout areas, as well as in event centers and common areas. Apart from the rubber product format, you also need to consider the rubber thickness when choosing your flooring. As already mentioned, different types of rubber products are available in different thicknesses. The thicker the material, the more expensive it is going to be, but it will last longer, will be softer underfoot, and will provide better cushioning, shock absorption, and sound absorption. Busy training facilities will also benefit from greater rubber thickness which provides greater durability and resistance to wear and tear. Rubber flooring may have cork, fabric, or foam backing to make it even softer, safer, and more comfortable. 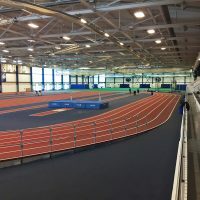 Finishes – Rubber flooring usually comes with a subtle matte finish that is very suitable for social areas and athletic installations where the soft hues won’t overwhelm the atmosphere. If you want a greater impression, however, you can brighten the colors by polishing your rubber floor with a water soluble wax emulsion. This will not only give the surface a beautiful shine, but will also make it more durable and stain resistant. Contemporary rubber flooring comes in an array of colors and styles, with complex patterns mimicking natural stone and wood and dimensional effects that add plenty of visual interest to the space. All rubber flooring products are available in pure black 100% recycled rubber and a wide range of vibrant color blends in varying intensity, so that you can easily find a style that perfectly complements your facility’s interior décor and matches your artistic vision. You can use rubber tile to create repeating patterns of color across the surface of the floor, rubber sheets for a more consistent appearance and fewer seams, etc. – your imagination is your only limit! What activities will take place on the rubber floor? Does the flooring need to meet any specific requirements or standards (stability, traction, rotation, slip resistance, surface abrasion, shock absorption, sound absorption, etc.)? Will the rubber flooring be placed indoors or outdoors? What is the size and shape of your flooring area? How long do you want the floor to last? How much traffic will the floor see? What kind of installation do you prefer? What maintenance can you provide? 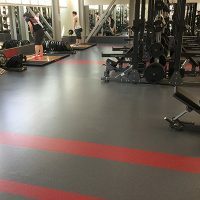 The answers to the above questions will let you know exactly what type, thickness, texture, finish, and style of rubber flooring is most appropriate for your project. Then, you can start researching products by type, price range, or intended use. Make sure you read the provided descriptions to get a sense for a product’s installation process, durability and comfort, maintenance and cost. Check out customer reviews and take a close look at the photos posted along with the reviews to see what the specific type of flooring looks like after installation. Comparing different products will give you a good idea of what to expect from a rubber floor and will help you clearly define your needs and concerns. At this point, you will have probably found a few rubber flooring options that seem appropriate for your needs. Yet, you may not be sure which one is best for you. 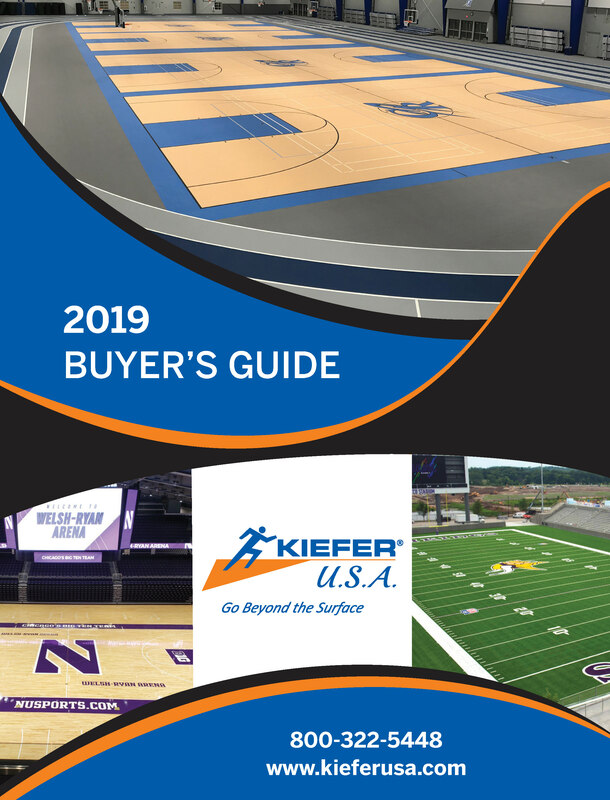 This is where the experts at KieferUSA come in – our customer service team has the rich experience and professional knowledge to answer all your questions, assess your situation, help you narrow down your search, and choose the right rubber floor product for your project. We can even give you free samples, so that you can check how different types of products will actually look in your facility. What’s more, we offer reasonable prices, so you can get quality rubber flooring for your project. Once you make your final choice, we will give you lots of useful tips on how to care for your rubber floor, help you with the installation (if necessary), and give you warranty to ensure your peace of mind (even though rubber flooring is very durable, accidents happen – if a flooring product has to be replaced, KieferUSA will be there to assist you and restore the damage in a quick and efficient manner). You can consult with our specialists and order products online or over the phone at 800-322-5448. We’ll be happy to help you get the best rubber flooring for your project. 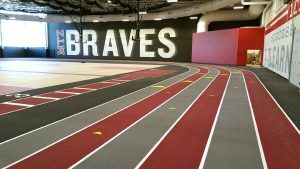 What Sports Use Rubber Flooring and Why?